The exhibition is a photography/multimedia project by award winning photographer and multimedia artist Lela Ahmadzai that highlights the situation of women in today's Afghanistan. The project focuses on four Afghan women from different social backgrounds: a member of parliament, a baker, a singer and a policewoman. Lela Ahmadzai´s photographs and multimedia films draw an impressive picture of the lives of the portrayed women and show a country in political and social change. It illustrates, how persistent and strong every single woman in Afghanistan must be, how much they - often at risk of injury and life - have to fight for their freedom to realize their life plan and not to disappear behind the walls of a house. After the withdrawal of the international troops, many of them fear re-emergence of the radical fundamentalist Taliban and the loss of the freedom won. Nevertheless, the women continue to fight for their rights and against their oppression by traditional, social and religious power structures. With a lot of empathy Lela Ahmadzai approaches the four protagonists that she accompanied during her long-term project. Her photographs and multimedia films draw an impressive picture of the lives of the portrayed women and show a country in political and social change. In the framework of her artistic projects Lela Ahmadzai experiments repeatedly with innovative means of expression. Her approach is thoroughly multimedia-based. The particular strength of her artistic concept is the combination of moving and still images, the change from film to still, a process by which she creates poetically dense historical documents. The four potraits show the individuality of these women completly. They invite to immerse into their lives, to a trip to the country of powerful women who struggle for their rights and their freedom. As a native Afghan who has emigrated to Germany when she was 17 years old, Lela Ahmadzai always seeks the artistic approach to the plight of Afghan women. Her knowledge of the languages and the Afghan culture enable her to establish a special intimacy to her counterpart. With a lot of empathy she approaches the four protagonists that she accompanied during her long-term project since 2010. Lela Ahmadzai´s photographs and multimedia films draw an impressive picture of the lives of the portrayed women and show a country in political and social change. In the framework of her artistic projects Lela Ahmadzai experiments repeatedly with innovative means of expression. Her approach is thoroughly multimedia-based. The particular strength of her artistic concept is the combination of moving and still images, the change from film to still, a process by which she creates poetically dense historical documents. For her black and white feature Silent Night – The Kandahar Massacre, Lela Ahmadzai was awarded the 2nd place in the World Press Photo Multimedia Contest in the category Short Feature. Here she also manages to reconstruct an historic event with multi-layered portraits. The exhibition concept of The Courageous combines aesthetically outstanding large-format color photographs (portraits and landscapes) with short films from photo and video material that was recorded on the spot in Afghanistan. Still images are also integrated into the footage. 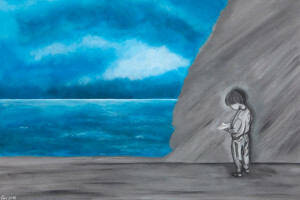 They create an atmosphere of calmness in the flow of images and allow the development of intimacy with the counterpart. The film portraits are enriched with interview excerpts, atmospheric sound and music. “A mountain never meets a mountain, but a man meets a man.” This ancient Persian proverb is among the oldest and most widely spread. What is meant is, among other things, the situation when friends who live far away from each other come together at a third location. In the current exhibition in the “Kunsträume” of the Michael Horbach Foundation, six young artists with Persian roots come together at a neutral venue in Cologne to participate in an exhibition curated by Gérard A. Goodrow. From paintings, drawings, and photos to objects and installations, a broad range of media is presented here. 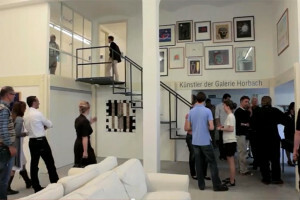 All born between 1971 and 1980, the six participating artists – Mahssa Askari, Bahar Batvand, Gila Abutalebi, Linda Nadji, Reza Nadji, und Pari Moradi – represent a young to mid generation of contemporary German artists with migration backgrounds, which – in clever combination with their encounters and experiences in their new adopted homes – find expression to greater and lesser degrees in their highly differentiated oeuvres. As a child, Bahar Batvand (*1974 in Ahwaz, lives in Düsseldorf) experienced the first Gulf War firsthand – memories that continue to provide impetus for and play an integral role in her complex artistic work. Instead of canvas, she generally uses scrap metal and so-called “useless” metal objects, which serve as the basis for her pictorial deformations. The destruction of material is a common theme throughout her entire artistic oeuvre. Nevertheless, Bahar Batvand does not see destruction as being solely negative, but is rather much more interested in processes of alteration and transformation. Reza Nadji (*1978 in Teheran, lives in Berlin) was 29 years old when he first visited the homeland of his parents – and returned with an impressive portrait of a city rife with contradictions. In Teheran, he encountered a blatant discrepancy between the Islamic lifestyle dictated by the state and the lifestyle of the “real world”. For the most part, Nadji avoids depicting people in his photos, especially at places, where one would normally expect to see them – in doing so, he causes the viewer to reflect upon the situation of the Iranian people. 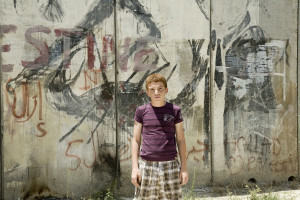 Gila Abutalebi (*1971 in Ried, Austria, lives in Köln) deals with her own Iranian roots in a completely different way. The multitalented artist, who is also active in the field of literary art, transforms handwritten letters into painterly abstract signs, which are also narrative and metaphoric. She is less interested in a culturally determined tendency towards calligraphy, but is rather much more fascinated with the multidimensionality of language. In addition to handwriting, for which only Latin letters – especially the letter K – are used, predominantly transparent materials play an essential role in her literally multileveled artworks. With the help of various layers of semitransparent colour, Mahssa Askari (*1980 in Khoramshahr, lives in Düsseldorf) creates an equally unusual painterly tension. Her motifs are, for the most part, quite classic – but nevertheless subjected to an enigmatic reinterpretation. 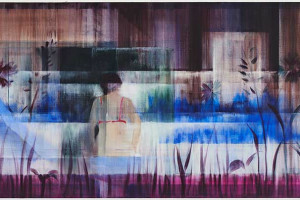 In many cases, her paintings are reminiscent of film sequences; perspectives are shifted, so that, when viewing the images, one is forced to constantly readjust one’s gaze. More than anything else, Askari is interested in converging the painterly surface and the play of light that emerges out of the colours, as well as in amalgamating memory and fantasy. In the two and three-dimensional works of Linda Nadji (*1972 in Teheran, lives in Cologne), which are generally derived from everyday objects, the transitory is literally captured – cast in concrete or bronze, formed with ceramics, or simply taken apart and reconstructed. In all cases, we are dealing with an act of heightened perception, since, through Nadji’s conversion, that which is generally taken for granted in everyday life becomes not only visible, but also and especially perceptible. Through the transformation of everyday objects, she alters our viewing habits sustainably. With her delicate drawings, Pari Moradi (*1977 in Teheran, lives in Cologne) also confronts the viewer with motifs from everyday life. For several years now, she works almost exclusively with shards from terracotta pots and vases as metaphors for humankind. Alone or in small groups, it is more than obvious that each shard is unique and individual. Although they are only literally broken fragments, they posses much more character than whole, undamaged vases, most of which have been formed and fired according to a more or less standardized mould. Each individual shard is thus unique; it is neither planned nor “designed”, but rather emerges out of a fortunately unfortunate coincidence. Earlier, everything was bad – and now everything is good? 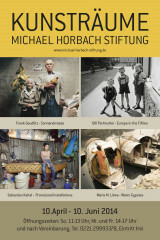 The three exhibitions in the Kunsträumen of the Michael Horbach Foundation are dedicated to a photographic view of contemporary Cuba, which is currently going through a period of profound change as result of the resumption of diplomatic relations with the USA: a loosening of the embargo restrictions, removal from the list of countries supporting terrorism, the opening of embassies in the capital cities of both countries. Whereas many people hope that the new beginning of relations between the USA and Cuba will accelerate and improve the process of change in the socialist-ruled country, the downsides of putative progress are simultaneously making themselves known. The visit of the German Foreign Minister also points to a change of course in German policy with regards to Cuba. It is thus time to cast an eye on Cuba. The focus is on the exhibition COLIMADORES: The photographic works by 28 Cuban artists were all created after the Revolution, i.e. between the 1960s and the present day. Opening: 30 August from 11:00 a.m. to 2:00 p.m.
Beginning with this exhibition, works by Cologne-based artists will be presented at regular intervals in the Kunsträumen of the Michael Horbach Foundation. With a series of exhibitions focusing on artists living and working in Cologne, Michael Horbach refers back to a time when Cologne was considered THE European art capital – namely from the late 1980s through the early 1990s. The former studio of Rosemarie Trockel – an artist who played a crucial role during this time in Cologne – will be seen in a new light with the help of paintings, installations and sculptures from the past several decades. The exhibitions will be dedicated to a generation of artists from this legendary period. Together with them, we strive to celebrate a revival. In all works, disclosure, revelation, unveiling, and what takes place “behind the scenes” play a key role – be it with regard to the working process, as with Bruno Gronen, whose light installations include the necessary electrical cables, or to consumer habits, as with Frank Herzog, as well as his making wood as a material visible. Jürgen Raap discloses his memories, while Theo Lambertin reveals his technology, his construction of the image and his compositional principles. Heinz Zolper’s pictures make reference to the boundless freedom of painting with reference to the worthiness of images. With the help of the principle of disclosure, the artists provide viewers access to their works on an equal footing. The exhibition has been curated by the Cologne-based art historian and author, Dr. Marta Cencillo Ramírez. 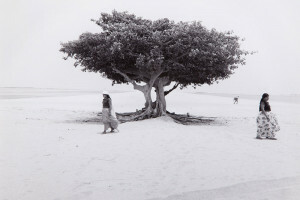 Parallel to this exhibition, photographic works by the artist Anja Schlamann will be presented in the project rooms. Frank Gaudlitz, Sebastian Keitel, Maria M. Litwa und Bill Perlmutter. 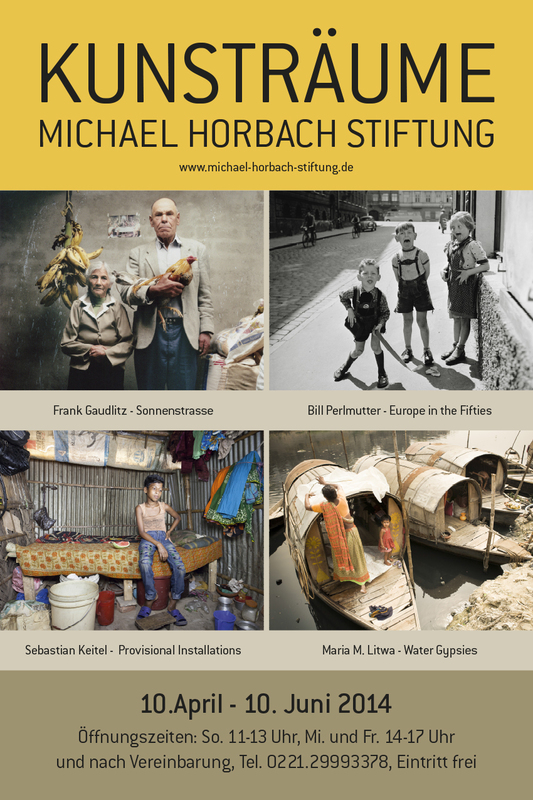 The Michael Horbach Foundation opens the spring season with four visually powerful exhibitions: They all have one thing in common: the discovery of foreign countries, cultures, people and landscapes. Each of the four photographers approaches the respective “foreign” cultures in his or her own special way. Frank Gaudlitz set off in the footsteps of Alexander von Humboldt, who crossed the Andes in 1802. In addition to landscapes, Gaudlitz also shot portraits of the indigenous population. The Horbach Foundation is also presenting photographs from the “Cruz del Sur” series for the first time in Germany. Gaudlitz was born in Vetschau in 1958 and lives and works in Potsdam. Sebastian Keitel shoots photographs of interiors of shanty dwellings in Dhaka, the capital of Bangladesh. The cramped living conditions depicted in these aesthetically attractive photos reflect the abject situation of more than one billion people worldwide. Sebastian Keitel was born in Herford in 1983 and lives and works in Cologne. Maria M. Litwa’s “Water Gypsies” series is the result of her visit, together with the architect Christina Zeiske, to two settlements near Dhaka located directly on the water. Since more than one thousand years, the Muslim river nomads have been living on these rivers and canals. The pictures depict portraits as well as the living space of the river nomads. Maria M. Litwa was born in Mülheim/Ruhr in 1982; she lives and works in Cologne. Bill Perlmutter traveled throughout Europe in the 1950s as a freelance photographer commissioned by the US Army. The young GI began his photo reportages with only limited previous knowledge and (biased) opinions that came more or less from the cinema. The photographer’s view of post-war Europe is unmediated and direct. He was particularly interested in the living conditions and cultural features of his European contemporaries. The exhibition was conceived in cooperation with Galerie Hilaneh von Kories, Hamburg. Read more … Frank Gaudlitz, Sebastian Keitel, Maria M. Litwa und Bill Perlmutter. On 2 February 2014, the “Kunsträume” of the Michael Horbach Foundation opened the new exhibition season with two artists, who are as remarkable as they are different: Joan Cortés (“Teorema de l'espai”, installation) and Clemens Kaletsch (“Europe unlimited”, painting). Joan Cortés (born in Pollensa, Majorca in 1964) is one of the most distinguished artists of the Balearic Islands. In his installation, “Teorema de l'espai”, he focuses primarily on the concept of space, which he investigates with regard to the interrelationships between man, space and object. His works are included in numerous private and public collections and museums in Spain, Germany, Italy and Switzerland. Clemens Kaletsch’s exhibition “Europe unlimited” represents a (re-)discovery of the painterly as such. Born in 1957, Kaletsch presents works from 2007 through 2014, which consciously address the history and culture of Europe. “His work is painting in its purest form,” the FAZ wrote on the occasion of his exhibition in the Kunstmuseum Mülheim in 2008. The art rooms of the Michael Horbach Foundation in Cologne are showing the exhibition project Wounds - Five Artists in Five Rooms from May 1 to August 20, 2013. 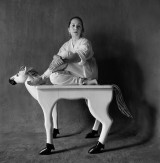 The German photographer Thomas Karsten (age 55) received this year's Michael Horbach Foundation Award for Photography. 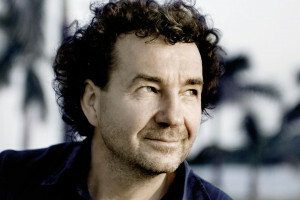 Thomas Karsten received the award for his work 60 Bicycles for Uganda and Foundation MUKISA, Uganda from the year 2011. 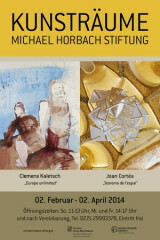 In a former art gallery and studio in Colognes southern quarter, the Michael Horbach foundation will open a gallery called Kunsträume on May 1, 2011. Exhibits from the contemporary art collection of the foundation founder Michael Horbach will be presented in several exhibition spaces. The funding provided through the foundation wants to enable young unknown female artists from foreign cultures. The selected women have just started their artistical work and therefore are especially dependent on financial support. Flor Garduño was born in Mexico City in 1957. She works and lives in Stabio (Switzerland) and Tepozlán (Mexico). Her work has been presented in several museums and galleries, including the Art Institute in Chicago, the MoMA in New York City or the Museum Ludwig in Cologne. From April to July 2011 there will be a big exhibition in the San Ildefonso College, a museum and cultural center in Mexico City.